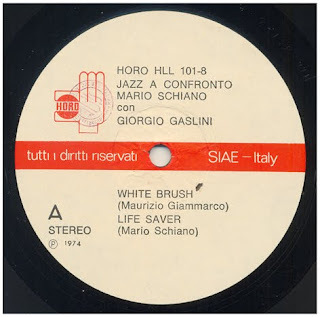 This is the first meeting, and the only on record, from two great jazz master, supported from the young hopes of the italian jazz, like a Massimo Urbani, Maurizio Giammarco and Toni Formichella. 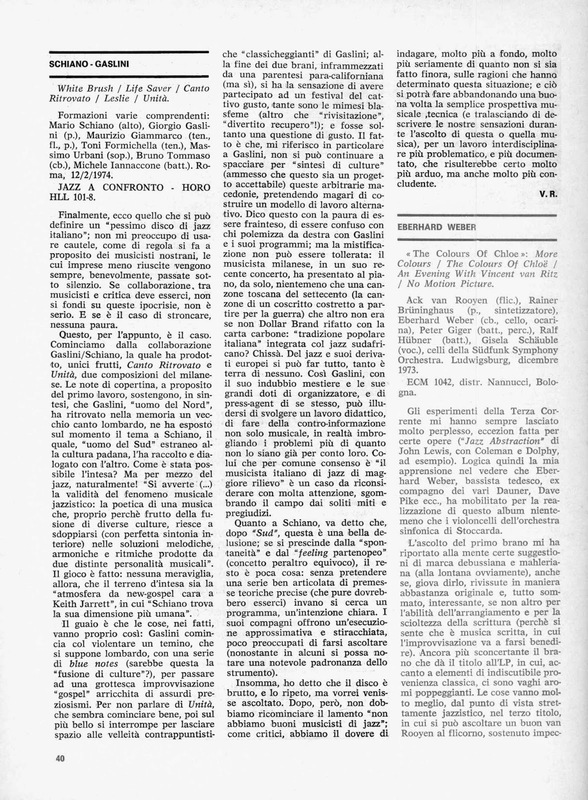 So, the critics tells that, between Schiano e Gaslini, there was hostility, because Schiano had recorded for first the young lions on the beginning of 1973, in your beautiful "SUD". Really, it had happened because Mario Schiano knew the roman jazz clubs much more that the academic pianista. When Aldo Sinesio proposed he to recording for the HORO, Schiano proposed to meet Gaslini, own with "they" young students. 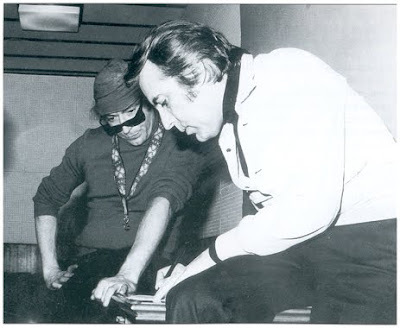 All roman jazz world said that Giorgio would not have accepted. 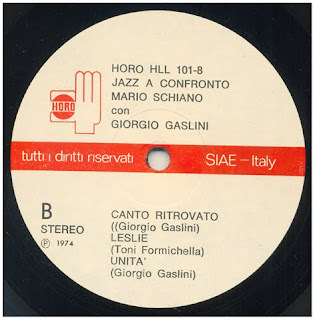 That day, Gaslini, was not only introduced in advance in the "Titania" studies, but in all two tracks that it recorded with Schiano, there is a clear message. In one it's on the title "Unità", in the second it's in the beauty and in the grace of the composition "Canto Ritrovato", an ancient Lombardic song relaborated from he. 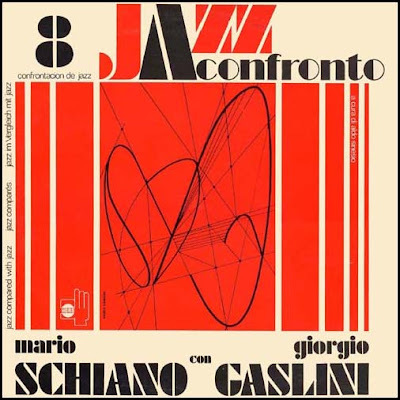 This is the first meeting, and the only on record, from two great jazz master, supported from the young hopes of the italian jazz. Many thanks again. I have really enjoyed listening to each of these albums.